We all have experiences that shape our lives and define who we are. In recovery from drug and alcohol addiction, there is a common denominator that mostly everyone attending a 12-step meeting or entering a treatment center has in common: substance use. Why and how a person uses or becomes an addicts can vary quite a bit. Whether or not someone can allow themselves to be open, honest and vulnerable in a therapeutic and peer-to-peer environment also varies quite a bit. In America, we live in a society that provides greater access to drugs and alcohol than substance use clinics and mental health services. In general, there appears to be a lot of shame, bullying and judgement in our society. There are likely, a lot of root causes for addiction. Recovery is the answer, without a doubt, but the road to recovery can be rocky. Surviving the journey to long-term recovery takes faith, commitment and community. For individuals who are lesbian, gay, bisexual, transgender, queer, questioning or intersex, the road to recovery might first appear narrow and unmarked. You may need to find a path through a rough terrain that includes some bad experiences at treatment centers that said they were welcoming to LGBTQ persons. You may have to navigate around false claims about legitimate LGBTQ programs in treatment centers. 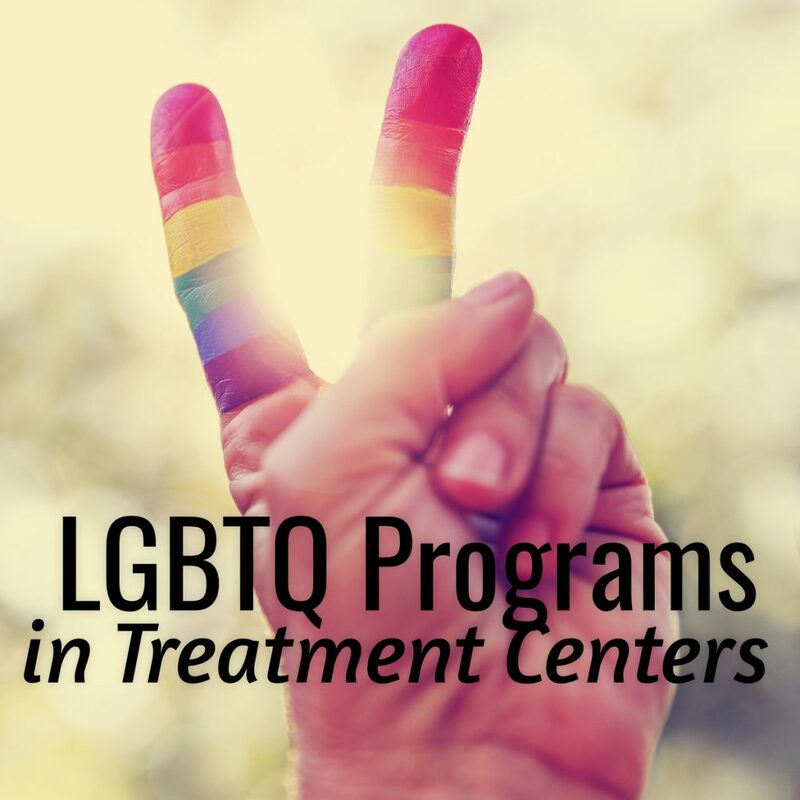 Luckily, more treatment centers are diving deeper at what it means for them to provide additional services for the LGBTQ community at their centers. Some treatment centers offer “tracks” for specific groups of people. For example a “Transgender Track” has popped up on a few treatment centers programs list. At Inspire Recovery, we are thankful more centers are expanding their groups to include people whose gender and sexuality are a core part of their lives. It is the lack of quality LGBTQ programs in treatment centers over the past 20 years that formed the catalyst for Inspire Recovery to open it’s doors in June 2014. Creating a safe space that is comfortable, effective and dedicated to providing the best possible care for the LGBTQ community in recovery takes a lot of flexibility. The committed staff at Inspire Recovery feel less tied to a formula for success and more open to the beauty in evolution. Our goal is to stand alongside our clients when they celebrate a year without drugs and alcohol, living independent and fulfilling lives. The majority of our clients are transgender men and women. To be a part of their journey to recovery is a complete and total honor. We take so much pride in our program, our therapists, group facilitators and the diversity that our program is able to bring to the LGBTQ community. It is our dream to light the way for other programs who are also committed to what long-term recovery looks and feels like for someone whose gender or sexuality is as colorful as the rainbow and may be as complex as Rubik Cube. We encourage all therapists and staff in treatment to consider taking continuing education classes that focus on the care and treatment of the LGBTQ community in recovery. SAMHSA provides excellent information in an updated manual that can be downloaded here. The Yes Institute in Miami, Florida has an amazing course available. There are opportunities to learn more about the culture and the challenges within the LGBTQ community. At Inspire Recovery we offer a by-donation Cultural Awareness presentation. To find out more you may contact us at: admissions@inspirerecovery.com. We are here for any of your clients who need a level of care that is not only accommodating but created specifically to provide a safe and welcoming environment focused on the uniqueness LGBTQ individuals have to offer.